UMass Lowell fans chanted, “Our Woll’s better!” twice during Friday night’s game against Boston College and by the time the last buzzer sounded, the chant was proven true over and over again. The River Hawks blanked Boston College 3-0 in the final game of the three-game Hockey East series. In those games, the River Hawks boasted a 2-0-1 record and added to their nine-game unbeaten streak. Junior goaltender Tyler Wall stood strong in net, amassing 28 saves with a shutout. His counterpart, the Eagles’ junior netminder Joseph Woll, had 23 saves and let in three goals within seven minutes in the second period. This was his ninth victory and his fourth shutout this season. “It’s tough to shut out an attack that’s that multidimensional,” said head coach Norm Bazin. While Wall gave a spectacular performance in net, it was UMass Lowell’s offense which truly shined. They scored goals three different ways: on the penalty kill, power play and at even strength. Senior forward Ryan Dmowski opened the scoring with an even strength goal 5:47 into the second period, breaking through a bleak first period in which UMass Lowell controlled play but could not quite break through to the net. After Dmowski’s goal, it seemed as though Boston College fired up the bus to leave. Sophomore forward Nick Marin squeezed a puck right behind Woll’s pads for the second goal of the game at 9:48, a shorthanded effort that effectively took Boston College down right there. Marin got the puck in just enough that when Woll slide back in his crease to assess the play, it crawled across the goal line and gave River Hawk fans another reason to be right on their feet. The student section in the Tsongas Center took immense joy in Boston College’s dismantling at the gloved hands of the River Hawks. They awoke from any Friday night sluggishness after Marin’s goal and certainly gave Woll and the Eagles a tough time when junior forward and captain Ryan Lohin buried the puck in the net on a power play goal at 12:15 in the second period. So much for the Lowell second period, indeed. With their immense success in the second period, UMass Lowell essentially had the game in the bag. Boston College did everything save for actually take off their skates and head to the bus. They did manage to get 12 shots on goal to UMass Lowell’s three in the third period, but with Wall and UMass Lowell’s defense performing the way that they were, that effort was for naught. Even when given three power play opportunities throughout the game, Boston College never gave UMass Lowell much to worry about. They were -2 on special teams, giving up a goal on the power play and the penalty kill. 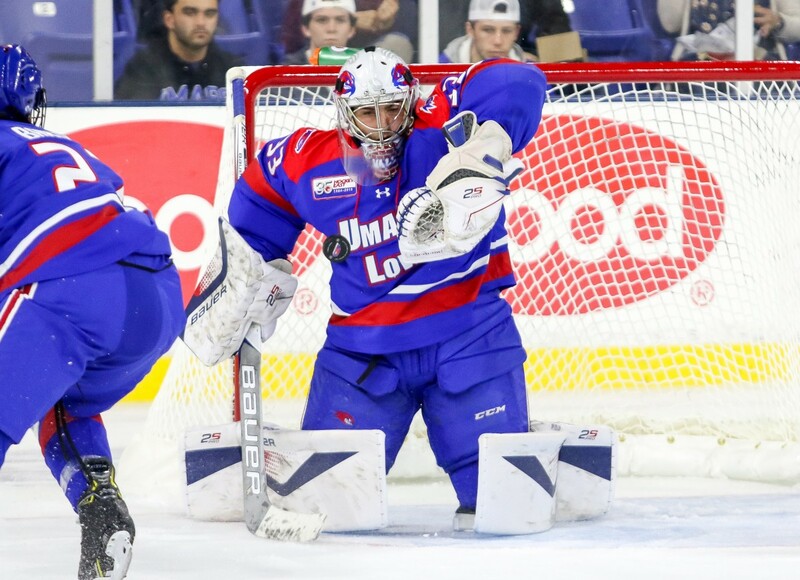 UMass Lowell advanced to a 16-8-2 record with the Friday night victory over the Eagles. Their Hockey East record improved to 10-4-2. The River Hawks rank second in the Hockey East standings and will come up against the first-ranked Massachusetts on Saturday with a 7 p.m. puck drop. Bazin does not intend to do anything out of the ordinary in preparation against Amherst. He says he will watch film and try his best to get UMass Lowell to play to their strengths. “When it’s back-to-back with different opponents like this you want to play your game to the best of your ability,” he said.